It’s been a while since I’ve written about startups here on the blog so I thought I’d catch our readers up on what’s new in the last little bit. There’s always something exciting launching so we’ll take a look at what’s been going on around the globe. If you’ve got an upcoming luxury startup launching, we’d love to know about it so please drop us a line if you’ve got some news to share! Big Game Air is a first-of-its-kind provider of luxury game day travel experiences for the ultimate sports fan. I caught wind of their launch the other day and think this is a simple yet brilliant idea that is going to do quite well. They are kicking off their first professional sporting event flight with the Chicago Bears vs. the Green Bay Packers this Thursday. Private air travel is just getting cheaper and cheaper and I’m excited to see more niche service providers like this come out of the woodwork. This startup is bringing next level haute fashion in a very unique way, directly from the artisans. Rossi & Rei has sought out partnerships with artists to deliver bespoke fashion items that you get a say in creating. Their team has scouted exemplary craftspeople from across Italy who make products for top luxury brands and partnered with them to make collections of limited-edition products. 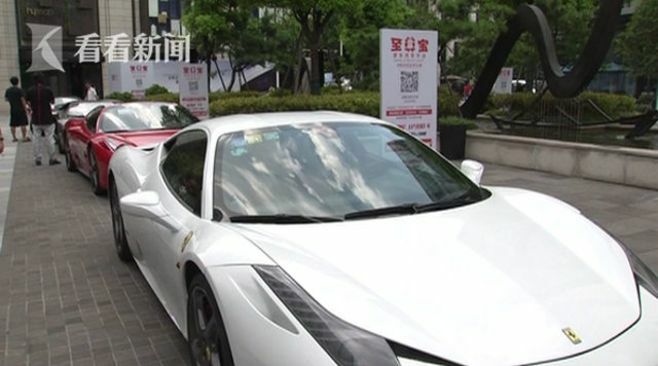 If you’re wanting to sit behind the wheel of some of the best supercars on the planet, a new Chinese startup has recently launched and their aim is to do just that. Located in Hangzhou, this startup just launched allowing people to sign up for their ride share. While this is an exciting platform, I hear the traffic in the city is not fun. While there are a good amount of preloved luxury marketplaces out there, I like what Cudoni is doing over in London. Thinking globally isn’t always the ideal option and with so many UHNW people in and around London, there’s a huge market to tap into.